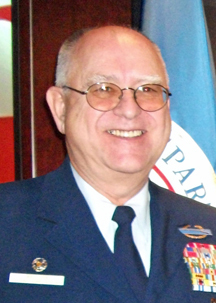 SAN ANTONIO -- Coast Guard Auxiliary senior leaders elected Commodore Thomas C. Mallison of Bear Lake, Mich. as the organization’s national commodore for a two-year term beginning November 1, 2012. The election was held Aug. 24 at the Coast Guard Auxiliary National Conference (NACON) at the Hyatt Regency Riverwalk hotel. Mallison will succeed current National Commodore James E. Vass, Jr. who is completing his two-year term of office. Mallison has served as vice national commodore under Vass since November 2010. Mallison has identified “training, communication, and members” as the watchwords that will help guide the Auxiliary¹s focus during his tenure as national commodore. Commodore Mark Simoni of Saginaw, Mich. was elected to succeed Mallison as the vice national commodore of the Coast Guard Auxiliary. Simoni previously served as a deputy national commodore overseeing the Midwestern U.S. region. District Commodore Harold A. Marschall of First District – Southern Region, was elected to serve as the deputy national commodore -Atlantic area east. District Commodore Richard Washburn of Eight District - Eastern Region, was elected to serve as the deputy national commodore - Atlantic area west. District Commodore Angelo A. Perata of Eleventh District - Northern Region, was elected to serve as the deputy national commodore - Pacific area. 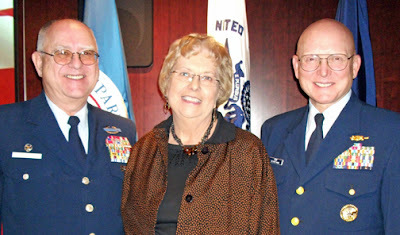 Commodore Mallison, wife Wanda & USCG Commandant Robert Papp Jr.
Mallison is a graduate of the U.S. Military Academy with a Bachelor of Science in Mathematics and Science. He graduated with honors from the U.S. Army Command and General Staff College and earned a Doctorate of Business Administration. Mallison joined the Coast Guard Auxiliary in 1990 and has served in a wide variety of elected and staff offices at all levels of the organization. His Auxiliary certifications include coxswain, private aids to navigation verifier, recreational boating safety program visitor, vessel examiner, instructor, and qualification examiner. Mallison also holds the advanced “Operational Auxiliarist” designation. Retired from Systran Corporation in Dayton, Ohio where he served as vice president and director of administration, Mallison served on the boards of directors of three manufacturing companies and a nonprofit corporation in the medical sector during his business career. Prior to Systran, Mallison retired with 20 years of service in the U.S. Army as both a commissioned officer and a non-commissioned officer. His overseas tours included Germany, Korea and Vietnam. Mallison is married to the former Wanda Rodieck from Nevada, Mo. NACON is hosted by the Coast Guard Auxiliary Association, Inc., a non-profit organization based in St. Louis that provides business management, financial and training support for the Coast Guard Auxiliary. Flotilla meetings take place at 6 p.m. on the second Wednesday of the month.